WiSub has the solution to repower AUVs and transmit data under water. Autonomous underwater vehicles (AUV) are increasingly used in the oil and gas industry, especially for subsea field monitoring. One of the limiting factors in its use has been the need to recover it to the surface after relatively short periods of time. WiSub believes it has a definitive solution to this problem. AUV systems have always been a target application for pin-less power and data transfer, due to the significant challenges posed with using conventional connectors for this type of connection. WiSub combines the latest methods in resonant power transfer with a revolutionary application of very high frequencies underwater to transmit data and power over short gaps of seawater, reliably maintaining the ability to connect and disconnect without increasing the risk of connection failure or degraded performance, a potentially game changing subsea technology. 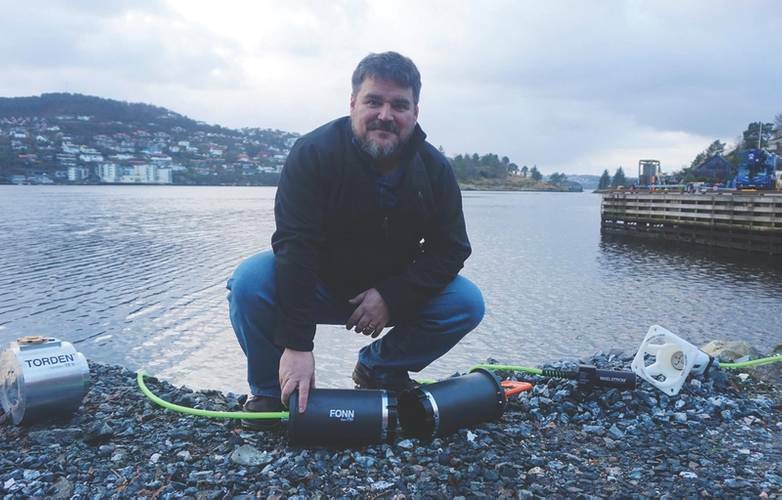 WiSub CEO Mark Bokenfohr’s early career was based in the development, delivery and offshore operation of work-class remotely operated underwater vehicles (ROV) and related systems, where the limitations of underwater connectors can be readily observed. “Having used low-speed inductive modems as an ROV pilot during oceanographic science operations, I was convinced that pin-less connectors should be developed for the oil and gas industry as well, though it took another decade, a few changes of country, and the right timing before I took the leap to build a company that would deliver such solutions. Officially the UAC project is named “Universal AUV Pin-less Charging and Data Transfer Interface”. Internally we call this project “Pin-less AUV Interface” or PAX.” WiSub has developed significant advancements to the advancement of state-of-the-art underwater connection, however we must share credit to the development of earlier pin-less connection technologies for providing us with the inspiration to go farther and dream bigger,” said Bokenfohr. One of the vital breakthroughs that made the UAC concept viable relates to WiSub’s patented high-speed, high frequency microwave electronics technology – “EM-based communication has been known for decades in the radio-frequency range (below 300 MHz), and has been applied to low-speed data transmission over short distances (some meters). High frequency data transmission has been ignored due to its very high attenuation in seawater – GHz-level EM wave propagation is not possible beyond 10 centimeters through seawater, and more practically only useful under 5 centimeters. This was never considered a practical distance for ‘wireless communication’ since ‘transferring over some distance’ was always understood for ‘wireless’ technology. 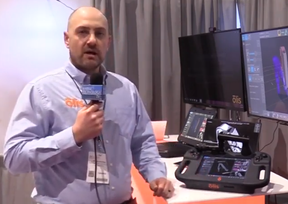 High-frequency EM works very well for pin-less connectors though, and since it was never obvious to others, we were able to secure patents for this inventive step in underwater communication,” explained Bokenfohr. It is also interesting to note the advantages of this technology over traditional low-frequency RF, inductive or acoustic technologies. High data transmission speed over wide bandwidth is the main advantage offered by WiSub’s microwave-based underwater data link, starting at 100Mbps and extending past 1Gbps in development. “This high-speed advantage is possible due to the frequencies involved, which requires small (micro) wavelengths, which also happens to be the same feature that prevents long-distance travel of these waves. Microwaves are defined to operate in the 300MHz to 300GHz frequency range; the other technologies applied in the field of underwater communication typically operate at far lower frequencies, and correspondingly lower data rates. Data speeds of kbps (kilobits per second) are possible with acoustic communications. Radio-frequency communication links (within the 3 KHz to 300 GHz range) are able to achieve similar data speeds over some meters. Inductive links used for power transfer are often also used for data transfer, with small separation between frequencies, which presents some risk of interference as well. An additional practical benefit of using microwaves at GHz for data transfer and longer wavelengths at kHz for power transfer is the large separation between frequencies, which avoids interference issues. Additionally, acoustic communications are adversely affected by turbidity and noise in the water column, which does not affect EM-based systems,” said Bokenfohr. WiSub believes it will have UAC technology operational for use in a deepwater AUV docking station in the near future, with one system to be deployed by the end of this year. “The Fonn 250W development is in its final stages now, the first hardware to be deployed within December 2017. Torden PAX 3kW will be deployed in Q2/Q3 2018. Both resident ROV and AUV systems will be enabled via these developments. WiSub’s existing products are however already deployed and in use as AUV docking interfaces with customers in North America. WiSub’s innovation in high-frequency data transfer has added an essential component to enable faster data transfer speeds, an advancement which was recognized at OTC 2015 through a panel of industry experts awarding WiSub’s Maelstrom connection system a Spotlight on New Technology Award. Maelstrom was developed to be our first flagship product to demonstrate the capabilities of high-speed pin-less communication over microwave frequencies, coupled with inductive power transfer methods to meet industry needs for repeatable reliable connection. 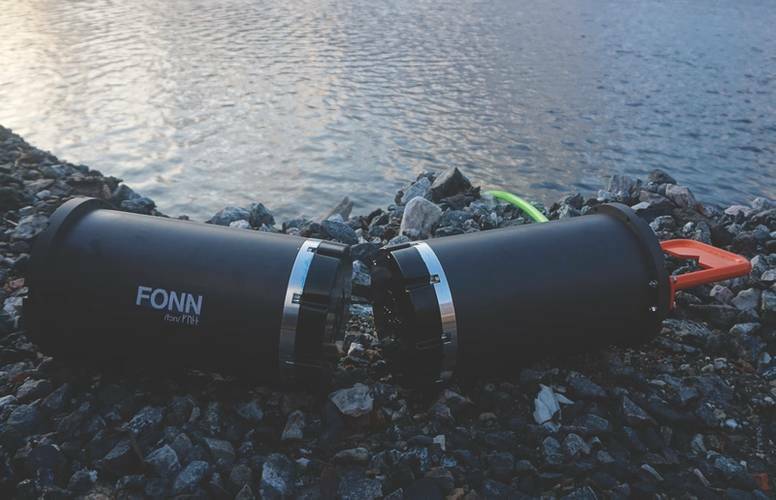 Torden also took home its own Spotlight award in May of 2017, confirming that the industry continues to see great value in pin-less underwater connector solutions,” concludes Bokenfohr.